Bilbo: …and yes. Now it comes to it, I don’t feel like parting with it. It’s mine, I found it. It came to me! Gandalf: There’s no need to get angry. Bilbo: Well, if I’m angry, it’s your fault. Gandalf: Precious? It’s been called that before, but not by you. Bilbo: Oh, what business is it of yours what I do with my own things? 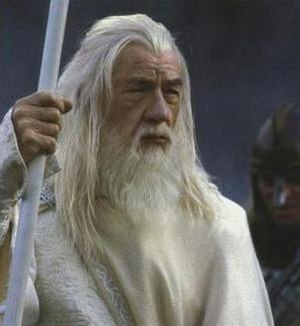 Gandalf: I think you’ve had that ring quite long enough. Gandalf: BILBO BAGGINS! Do not take me for some conjuror of cheap tricks! I am not trying to rob you. I’m trying to help you.